We have established a Social and Environmental Responsibility programme centred on four pillars and twelve commitments. Our commitment is displayed through concrete acts. Companies have a vital role to play in the development of sustainable societies. Firm in its DNA as an influence leader, La Redoute is a signer of the Global Compact. An initiative of the United Nations, the Global Compact is the largest international voluntary commitment for sustainable development. La Redoute is one of the few French companies not listed on the CAC 40 to make this pledge. Today, firm in its DNA as an influence leader, La Redoute is a signer of the Global Compact. At La Redoute, we have a deep respect for the materials we use and for the planet. To reconcile our dependency on what nature produces for us and our desire to preserve these precious resources, we have joined the Better Cotton Initiative. Our paper stock is certified as coming from sustainably-managed forests and we are very careful to trace back the wood materials we use. Concerned about the treatment of animals, La Redoute is a proud member of the Fur Free Retailer Program. This means not including any real fur in our clothing products. We also refuse to deal with angora, mulesing, goose feather and live plucked feathers in accordance with the Responsible Down Standard. Because simple waste management is easy and pays off big, La Redoute sorts and recycles all the waste produced by its activities. Our plastics become plastic again and our cardboard goes back to being cardboard—good for the planet, good for the economy. Our supplies arriving at French ports made their way to us by barge, and we prefer transporting our goods by boat, truck, train—whatever it takes to reduce CO2 emissions. We are proud of our use of the train system in Asia—economic, ecological and fast. The Internet has become an essential information and consumption channel. Why should certain people be excluded? The customer relations department at La Redoute is accessible to the hearing impaired, and its commercial website is navigable by the visually impaired. We are proud to pioneer new norms. We work to sustainably improve the conditions of workers, to support suppliers in a responsible manner, and to empower them as active participants in their own approach toward progress. The ICS mobilises a group of experts to represent motivated and involved brands who are grounded in the way they take care of their teams. For La Redoute, customers’ data are… personal ! In order to ensure that they will remain as it should be, we are committed to ensure the security of the processing of these data, in accordance with the RGPD. To be compliant with the SAPIN II Act, we have deployed an outstanding organisation : Creation of an ethic committee, edition of a code of conduct, trainings to protect the company and all employees. La Redoute has always involved its employees in patronage initiatives for equal opportunities both at school and on the job: aid for school and for entrepreneurial endeavors, digital workshops, coaching, etc. Employees are also encouraged to be involved in their community. 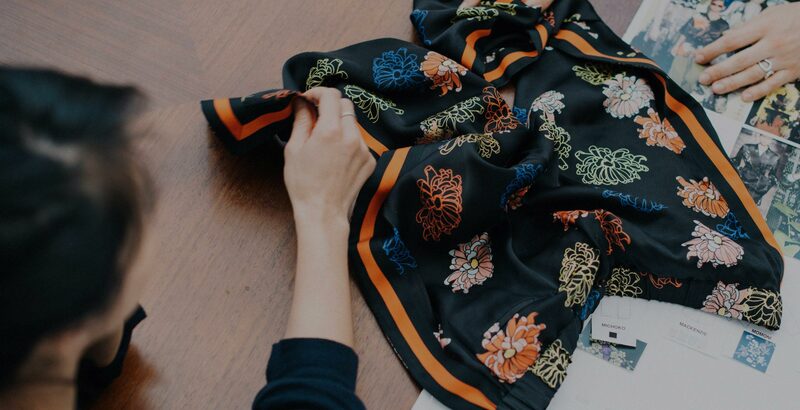 From the beginning, La Redoute has stood behind and alongside women. We are partners and founding members of the Solfa endowment fund, which exists to promote the dignity of women by taking a stand against all forms of violence toward women. Through its management resources, with which all managers are trained, La Redoute encourages its manager teams to really serve as coaches, leaders, and entrepreneurs. Each year, La Redoute makes it possible through various forms of guidance and support for employees to convert their professional skills into specialised degree programmes. La Redoute is the leader among distance selling companies for this type of initiative. La Redoute employees have formed dedicated teams to organize internal events and activities aimed at developing interpersonal relationships and fostering a friendly atmosphere.